Michael Brodie- June 8, 2017, 2:15 p.m. So you're thinking of hiring Filipino virtual assistants or remote workers in the Philippines and want to know all the in's and out's before deciding if it's right for you and your business? Great news, here's a starters guide that will help you. Remote worker: At VirtualStaff.ph, we're a marketplace for connecting entrepreneurs with remote workers in the Philippines. This is just like hiring locally except you hire talented staff who are home-based in the Philippines. They work for your business either part or full time. This is what we call a permanent solution to business growth. 2. You hired a person not a robot from a sci-fi movie! You're not hiring a contract worker, you're hiring a new employee. 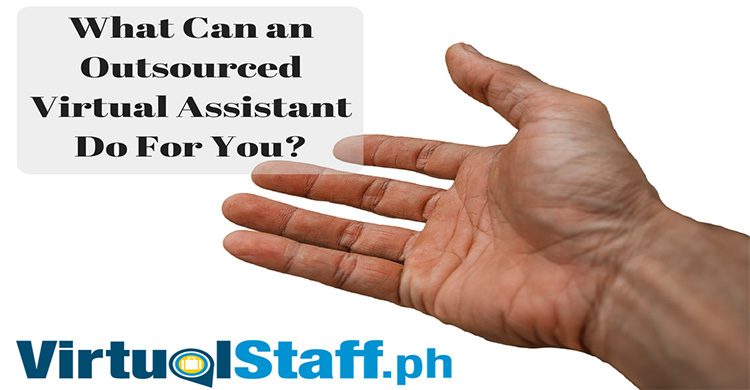 Whether than be a Filipino virtual assistant or another specialist role such as SEO, programmer, or video editor. The fact is you're hiring a person. Treat them like you'd treat any employee you have locally. Here are some quick tips on that: - Communicate daily. It does not have to be too much, but saying Hi, asking how they are, asking for feedback etc are all great ways to build an awesome working relationship. Just like in the non-virtual world, questions like "did you do much over the weekend" on a Monday morning are good ways to add a human element to the relationship. One of the big reasons why Filipinos are dominant in the overseas nursing sector is because as a culture they are sensitive and caring. This is another reason why the customer service outsourcing sector is booming with both small and large companies using it as a place to have customer care, whether that be a telephone, live chat or online support. They often don't like to admit they don't know something in case they get fired or verbally abused. Because of these cultural traits which might I add are positive as well as negative if you don't make your virtual employee feel comfortable and able to talk to you on a personal level, then they might go awol or disappear, especially in the beginning of a working relationship. Set expectation at the start and let them know you're fine if they need to ask something, and you don't expect them to know everything, so not to worry or get stressed if they are unsure. Make it clear in the job description what skills you need. Remember to not expect one VA to be able to do everything. However during the interview process, simply ask questions about skills. Employing a VA or remote worker in the Philippines is no different to hiring someone locally except they work from home and you pay significantly less in salary costs. However interviewing and hiring is the same. If it was so different, which many middleman outsourcing companies and recruitment companies profess it to be, then why would you ever hire someone in the first place? If the interview was a challenge then the working relationship would be a nightmare and this would not be a multi-billion dollar industry. Our website www.VirtualStaff.ph is a great place to directly hire Filipino virtual assistants and remote home-based staff in the Philippines. It's easy, just sign up for an employer's account (try free), then post a job or contract workers direct by browsing profiles and resumes. Okay so if you hire a programmer, SEO expert or web developer then, of course, you won't be training them because odds are they are more skilled than you in that area, which is the reason you're hiring them. My developers who work for me in the Philippines are way smarter than I am when it comes to computer language and software skills. However, if you're hiring a VA/Virtual Assistant or Filipino virtual assistant, or general assistant or whatever fancy term we outsourcing experts use for this, then remember train them to what you need them to do. Ongoing training of new skills, give them training virtually, things to read, things to learn, access to any training material if you have them (could be free ones, such as google provided). Remember, you're hiring virtual assistants to build your business and get control of your life by outsourcing the tasks you don't want to do. Because of this, it's about training and moulding someone to fit your business vision. Good news is Filipinos are super adaptable and excellent learners. Provide POSITIVE feedback before constructive criticism. Their life depends on it. Just like if all your clients decide not to pay you on time, you'd probably be annoyed and frustrated, some of you might even go out of business if the delay was long enough. Pay your virtual employees on time. Creates trust which is good for you and your business. Okay, so you hear me say this a lot in my videos and on my Podcast Confessions of a Virtual Boss. Common sense is key. You don't pay staff in advance, it does not matter how honest they are, it's just not a good thing to do as it opens you up to easily avoidable scams. Just like back home, you pay your virtual employee weekly, bi-weekly or monthly (up to you). They are expected to send a daily email with tasks worked on, tasks completed, tasks being worked on, and also I ask them to send me ideas, questions, or anything that they themselves think will benefit our business (my management style). You expect this to be a long-term relationship. It's a permanent job. 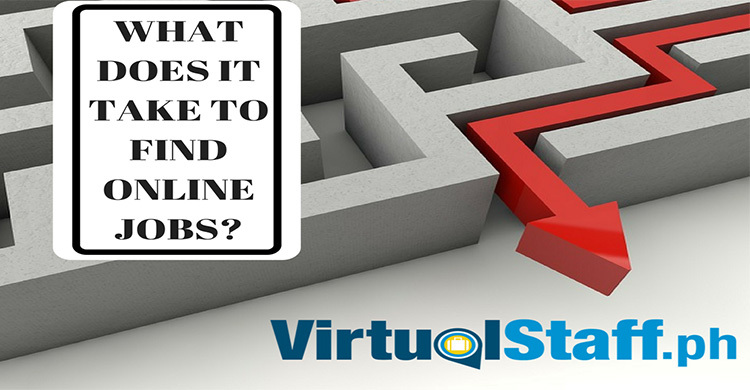 Using virtualstaff.ph is not about freelancing or temporary gaps. It's about building full-time remote staff in the Philippines to drive your business forward. Personally, I let my staff have semi-flexibility with working hours, I also let them take time off if they need it. How do I do this without having advantage taken? I set daily and weekly tasks/goals, for my videos for examples. I give my video editor 24 hours to complete a set number of videos, I don't care what time he works, which is awesome for both me and him, for him, he can spend time with his son, and for me, I get the videos completed by the deadline. I've personally made a lot of money by creating virtual teams in the Philippines, my virtual staff are all home-based and have provided me with a life and opportunity that I could not have had without them. You're hiring them instead of hiring local employees because you can save 75-82% on salary costs while still getting a high skilled, degree educated workforce. Final note. If you plan on them being a long term employee and put in some basic and ongoing time to train them, motivate them, and create a good working relationship (as you should with any employee) then it will do amazing things for your business and life. If however, you treat them like a temporary worker from Upwork who is doing some casual work, then the relationship will never reach the potential that if otherwise should have. Instead, you're better going to Upwork and hiring someone for a one off temporary job. Go to www.virtualstaff.ph to hire your virtual employee direct. It's the lowest cost option available as it's a marketplace for you to directly hire home-based staff in the Philippines. Go to www.michaelbrodie.net which is my personal site, I blog, podcast, and video about everything you need to know about outsourcing, hiring and working with virtual employees in the Philippines.